The right to practise, profess and propagate religion guaranteed under Art.25 does not extend to the right of worship at any and every place of worship. A Bombay High Court Bench comprising Justice R.M. Dere and Justice A.S. Oka has held that the denial of permission to erect temporary booths or any other structure for a temporary period on public streets or footpaths or footways for holding any religious function or religious festival of all religions will not amount to infringement of Fundamental Rights guaranteed under Article 25 of the Constitution of India, unless it is shown that the street or footpath in question has a particular significance for that religion so as to form an essential and integral part thereof. The Court relied on the Constitution Bench of the Supreme Court in Dr.Ismail Faruqi vs Union of India [AIR 1996 SC 605] in which it is held that "The right to practise, profess and propagate religion guaranteed under Art.25 of the Constitution does not necessarily include the right to acquire or own or possess property. Similarly this right does not extend to the right of worship at any and every place of worship so that any hindrance to worship at a particular place per se may infringe the religious freedom guaranteed under Art.25 and 26 of the Constitution. The protection under Art.25 and 26 of the Constitution is to religious practice which forms an essential and integral part of the religion. A practice may be a religious practice but not an essential and integral part of practice of that religion. While offer of prayer or worship is a religious practice, its offering at every location where such prayers can be offered would not be an essential or integral part of such religious practice unless the place has a particular significance for that religion so as to form an essential or integral part thereof. Places of worship of any religion having particular significance for that religion, to make it an essential or integral part of the religion, stand on a different footing and have to be treated differently and more reverentially”. The Court had granted an ad-interim relief in Public Interest Litigation No. 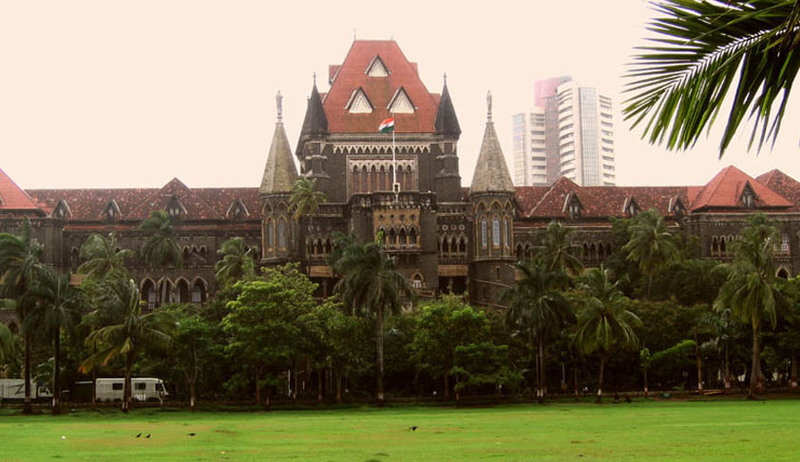 173 of 2010, on March 13, 2015, directing that the discretionary power under Section 234 of the Maharashtra Municipal Corporation Act, 1949, for granting permission to erect temporary booths or similar structures shall be exercised by the Commissioners, subject to the constraints set out by the Court in the same order. The Court had then set out the constraints, stating that, “The Power [under section 234] cannot be exercised without the concurrence of the Commissioner of Police or the Superintendent of Police, as the case may be. The exercise of power without their concurrence will be bad in law.” It had observed that permission to erect booths cannot be granted if it is likely to affect free movement of vehicular traffic or pedestrians. Permission cannot be granted on footpaths in localities which are very crowded. The power could also not be exercised on public streets, if the grant of such permission is likely to result into a major traffic congestion or obstruction to large number of pedestrians in the use of foot-way. Fundamental right of citizens to have streets in a reasonable condition was recognized by the Bombay HC in Sou Motu PIL No. 71 of 2013. Referring to this decision, the Court observed that while exercising the power under Section 234 of the Act, the Municipal Commissioners shall be bound to ensure that this fundamental right available to be citizens is not violated. The Court directed the District Collectors to constitute a team of revenue officers not below the rank of Tahsildars to visit all Municipal Corporations, to ascertain whether any such structures have been erected without the Commissioner’s permission. The visit has to be made periodically for a period of 7 days before the commencement of major religious festivals and also during such festivals. In addition to this, the Court had issued certain directions to the State Government for implementation of the provisions of the Noise Pollution Rules and various directions issued by the apex Court from time to time. These directions were issued on March 13, 2015. It was then brought to the Court’s notice that the State Government had failed to abide by the said order. All that was done by the Home Ministry was sending a letter dated June 18, 2015 to the Principal Secretary of the Revenue Department, the Principal Secretary of the Urban Development Department and the Principal Secretary of Environment Department, inviting their attention to the directions of the Court. The order was hence communicated only after a lapse of 2 months. It hence observed that proceedings under the Contempt of Court Act, 1971 will have to be initiated against the Government officers who were responsible for such breach. It directed the Chief Secretary of the State Government to ascertain the names of officers who are responsible for violation of the Court’s directions. He was asked to file the names within a period of two weeks.